This is a 36mm. vintage 1950’s ZENITH appearing “Oversized” with its 36mm. 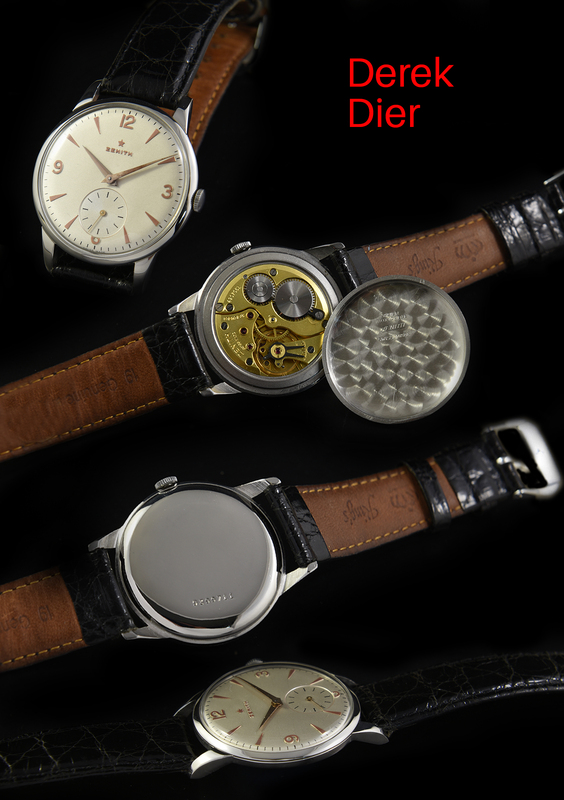 stainless steel, sleek, signed case-having an all-dial appearance with its narrow bezel. The dial was expertly restored and maintains the original rose toned Arabic and arrow markers, matching Dauphine hands and sub-seconds. The very fine manual winding ZENITH movement was just cleaned and accurately keeping time. 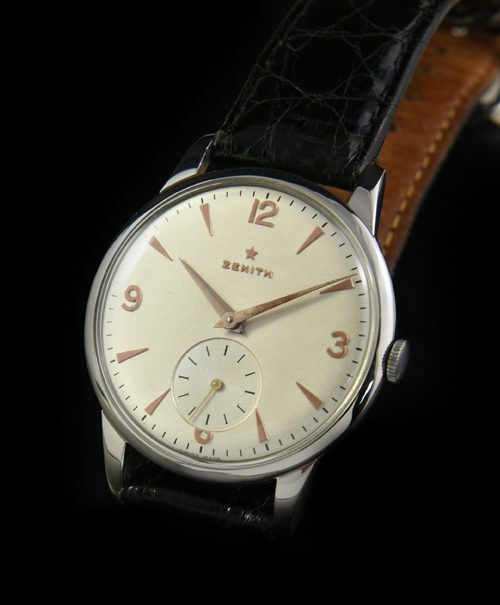 These ZENITH watches are of very high quality and I think under-appreciated and very “lightly” priced at this time.